I have posted video explanations to all of the math questions in the 2018 June ACT (Form A11) Test. 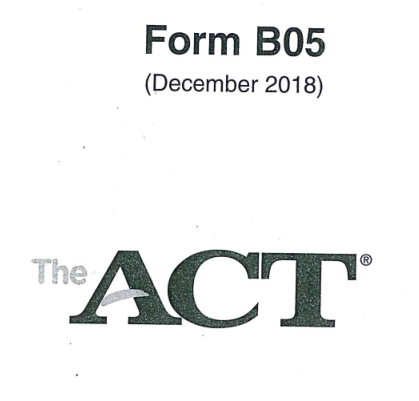 The best way to prepare for the ACT is to strictly use official ACT tests that have been previously used on real students. Do not waste any of your time on practice tests written by test prep companies. The questions written by the actual ACT test writers have a consistent pattern and many of the questions retain their form and structure in ACT tests that you will be taking. That is why I strictly recommend that students spend their valuable time on official ACT content. 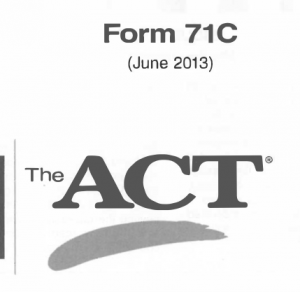 There are plenty of official ACT tests that you can access for free. 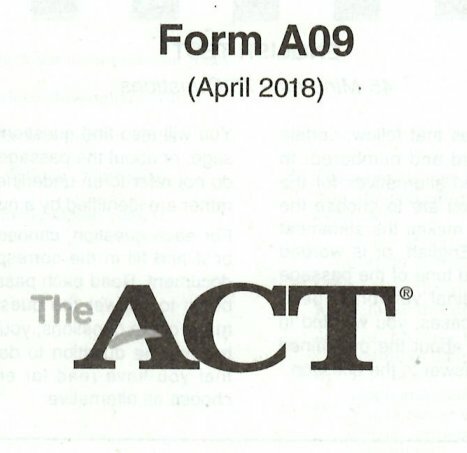 Here I provide you links to five official ACT tests that you can use right away to start your practice. In the list above you will notice that practice tests for several years are missing. This is because ACT duplicates these practice tests. For example, ACT has been using Form 1572CPRE for the years 2015, 2016, and 2017. The above five tests are the only five unique tests that ACT has released publicly and you do not need to waste your time finding the tests for the remaining years. 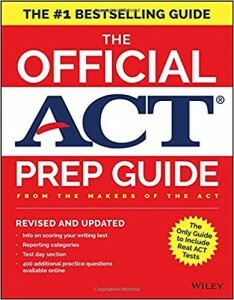 You can also buy the official ACT guides that give you access to eight additional practice tests. I detail these two options below. 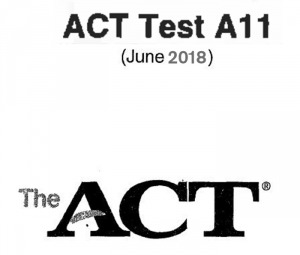 The next best source is the current 2018 Official ACT Prep Guide which has three full length official tests. I am not a big fan of the three tests in this guide, which are cobbled together by partially taking questions from recent official tests and the tests in the older Real ACT Guide. You can read my detailed review of this guide in an earlier post. 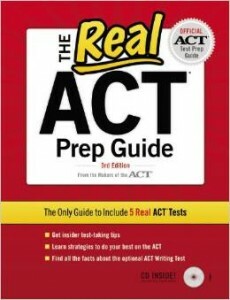 The Real ACT Guide is no longer being published and your only option is to get hold of a used copy. This guide has 5 unique full length practice tests that do not overlap with the 5 free official ACT practice tests listed above. I would practice with these tests first, and then only practice with the current 2018 Official ACT guide.